Description: Home Sweet Vineyard! Our two story Gingerbread Cottage is tucked in on Rock Avenue and a stone's throw to Campground activities, the ferry and harbor, beaches, and Circuit Ave and Kennebec Ave shops & dining. 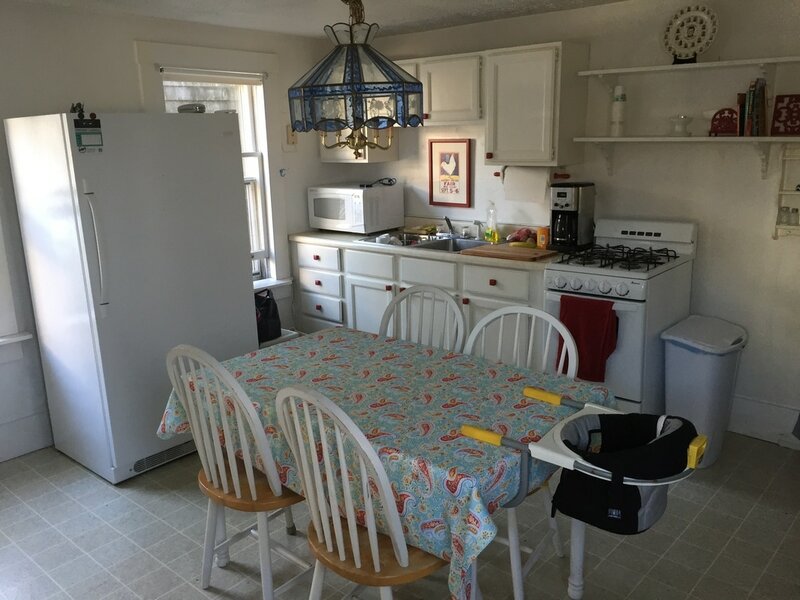 There are three upstairs bedrooms (set of bunk beds, 2 twin beds and a queen bed) with a front balcony, a living room, fully equipped eat-in kitchen, and separate utility room with washer and dryer. The full bath includes a bathtub and shower. A mahogany outdoor shower is also available immediately off the large deck. The cottage is one of three in the campground with a deck like this and it’s yours to enjoy with a table and chairs and BBQ for cooking! Parking for 1 vehicle is available in the campground (you will need a guest permit to use our assigned spot). 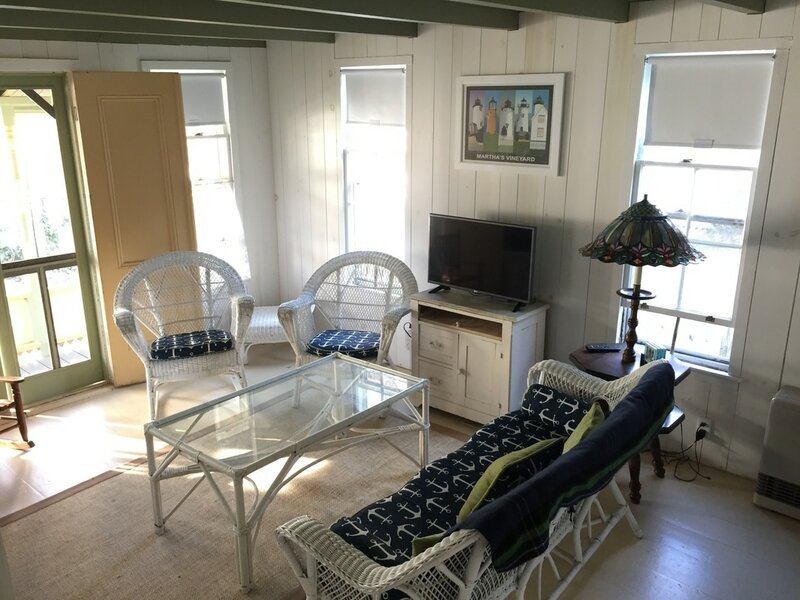 You bring your own linens – sheets/pillowcases, bath and beach towels. Owner supplies pillows, blankets, and beach gear (chairs and umbrella available). TV and WiFi included. The home comfortably sleeps 6 in the bedrooms, with sleeping arrangements for up to 6- 8 people. Sorry, NO pets or smoking allowed!! .Call/text Lindsay at (603) 305-2883 or email [email protected] for more information.